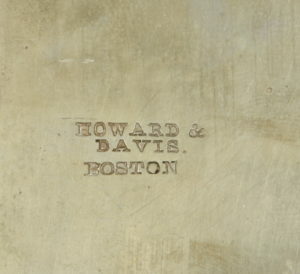 Howard & Davis Boston C. 1850’s No. 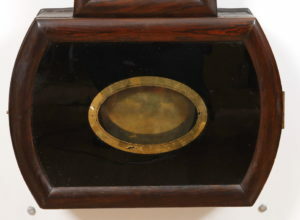 2 Banjo Clock, original faux Rosewood grained Cherry case. 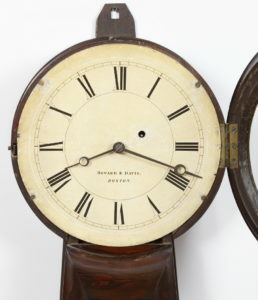 Signed Dial & Works. 44 x 18 1/4 x 4 3/4 inches. 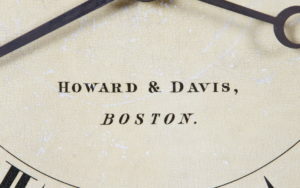 Of the five sizes of Howard banjo clocks: 1-5, largest to smallest respectively, the No. 2 size is the hardest one to find. 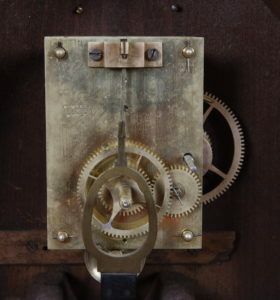 Really nice example of an original paper over Zinc dial. 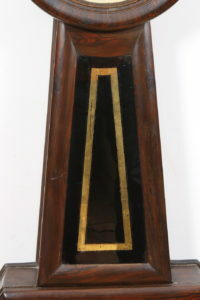 Numbered case parts: “3” & original bottom board, albeit with a crack and separate likely from a broken weight cord. 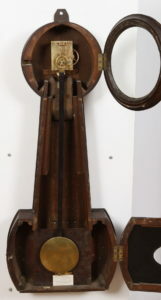 I recently had a similar example with Railroad provenance from the train station in Lambertville NJ. 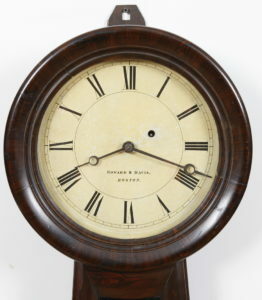 This clock retains its original finish, untouched original signed dial, original glasses with minor inpainting, original weight, pendulum, signed die stamped weight driven movement. 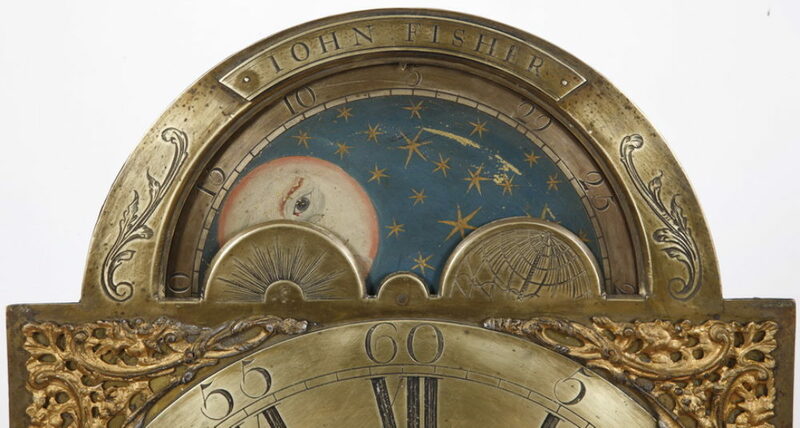 These are impressive clocks on the wall !